Big data and analytics are topics that we often assimilate with large-scale power systems. Indeed, the market for digitalisation is already valued at more than USD 60 billion annually prompting new business ventures to tap on these revenues. The off-grid energy space can also benefit from the adoption of new technologies that enable data collection, management and the associated analytical capabilities. ARE is a strong advocate of new solutions that can accelerate the industry efforts to bridge energy access gaps. We recently hosted a digital-energy nexus session organised by DG DEVCO of the European Commission in March 2018, to which we will be preparing a background report on the topic for later this year. Most importantly, the Alliance has a wealth of start-up Members which leverage their business models around data. The cost of design, development and maintenance is lower. Data collection and analysis allows users to build mini-grid systems at scale. With each new development and data gathered, more information and more accurate analysis is developed. Availability of data - whether real-time or simply more frequent data improves maintenance and operations practices and with time reduces the downtime. More data leads progressively to lower cost of capital. Financiers suffer today from a lack of reliable data about mini-grids and their usage. More data can shift this and make microgrids design, development and maintenance more quantifiable and hence less risky in the eyes of investors. Energy access is not only about bringing population in remote areas online in terms of energy. It is also about bringing populations into the digital world and online in terms of access to internet services. This is the dimension of data and analytics solutions which can be truly revolutionary. With online access, new revenue generation opportunities open along with access to education, banking and healthcare information and services. ARE is keen to build new partnerships based on leveraging data, analytics and digital capabilities for energy access. In recognition of the existent gaps in mini-grid data, ARE has set up a Workstream to both collect data and synchronise it with existing global initiatives. As a result, ARE is appealing to established mini-grid developers and metering companies to publish anonymous customers data profiles so as to have better load and revenue forecasting. The potential impact of this form of data sharing is that emerging early stage off-grid solution providers can create better proposals, thereby quickening the pace of energy access worldwide (GSR 2018). 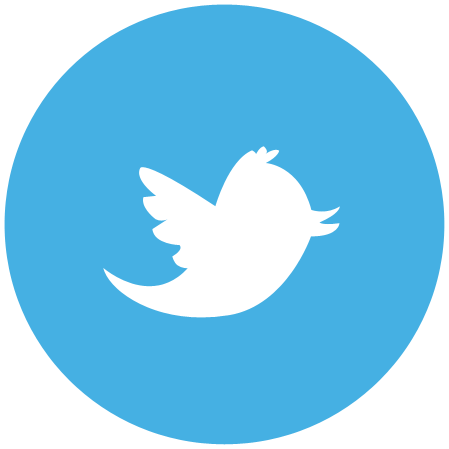 Contact: Apoorva Satpathy. Furthermore, as a result of the ARE-led session on digitisation at India Energy Access Summit, as well as discussions at the 4th ARE Energy Access Investment Forum, ARE is developing a position paper showing the potential of data and digitisation for energy access with a specific focus on India. The position paper will be developed together with the Climate Group and Sambodhi Research. Contact: Jens Jaeger. Learn more about what ARE Members are doing to leverage data and analytics solutions in this edition of the ARE Newsletter. In that context, I would also like to draw your attention to the guest editorial from our Partner Power for All who is taking steps to bridge the data gaps in the off-grid space with their Platform for Energy Access Knowledge (PEAK) to be launched next month. June has been again an intensive month for ARE with the team being actively engaged at the Asia Clean Energy Forum in Manila, the European Development Days and EU Sustainable Energy Week in Brussels, the Zambia Off-Grid Investor Forum 2018 in Lusaka, Intersolar Europe in Munich and the Regional Off-Grid Electrification Project Regional Workshop in Accra. The momentum for the summer months will continue with preparations already under way for Intersolar South America and the 4th International Off-grid Renewable Energy Conference. Read more about our past and upcoming activities in the rest of the Newsletter. Finally, to find out how ARE can help you to achieve your business goals, please contact us directly. Since May, we are pleased to welcome six new companies: Africa Energy Services Group, International Copper Alliance, Pact, Sepon Ltd, SunFunder and THEnergy. We look forward to working with you! Every year the volume of data produced about energy access grows exponentially and yet the sector still struggles to “provide the right data, about the right people, at the right time” to achieve universal energy access. Power for All is a global campaign that advocates for the acceleration of market-based growth of decentralised renewable energy (DRE) as the fastest, most cost-effective path to modern energy services for the one billion-plus living in energy poverty. 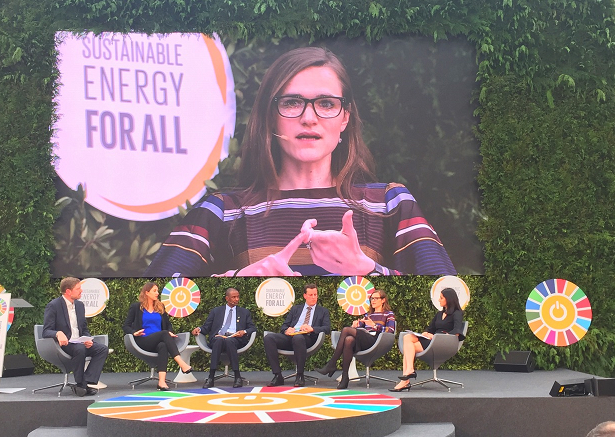 Power for All and its partners agree that many actors with the influence to accelerate DRE growth—and therefore energy access—lack information about modern distributed technologies, policies and markets. While several well-known institutions are conducting important research on achieving universal access (including DRE), many reports and associated data sets don’t reach key audiences. A 2014 World Bank study found that nearly one-third of their PDF reports have never been downloaded, and 40% of their reports have been downloaded fewer than 100 times. In addition, Power for All’s review of current and popular energy information portals finds that DRE is under-represented, even within the energy access space. There is no comprehensive, easy-to-use inventory of the current, critical facts needed to advance decentralised renewable energy and universal energy access that is kept relevant and up-to-date in this quickly evolving sector. However, to achieve universal energy access we need to address this ‘information use gap’ and the Platform for Energy Access Knowledge (PEAK) is a direct response to this gap. Power for All’s Platform for Energy Access (PEAK) aggregates the best research from large development agencies, academic institutions, non-governmental agencies, companies and community groups to create a specialised DRE library. However, as Alonso Ortiz and Dr Claire Melamed stated “new data sources can give us new insights, but only if accompanied with the right mix of tools and processes for filtering, managing, and analysing.” Therefore, PEAK integrates a select portfolio of open-access applications that, together, enable DRE-specific data storage and management, automated data indexing, in-line document annotation, automated federation of existing data platforms, queriability, instant data visualisation, intelligent analysis and integrated shareability of user findings. PEAK is an interactive platform designed to help a range of target audiences including governments, academia, think tanks, media, businesses, financiers, development agencies and community groups to synthesise and transform these large, growing bodies of data into digestible, sharable and usable knowledge. By bridging the information use gap in the sector, PEAK hopes to drive the growth of decentralised renewable energy and to achieve universal energy access. DRE growth—and therefore energy access—lack information about modern distributed technologies, policies and markets. While several well-known institutions are conducting important research on achieving universal access (including DRE), many reports and associated data sets don’t reach key audiences. A 2014 World Bank study found that nearly one-third of their PDF reports have never been downloaded, and 40% of their reports have been downloaded fewer than 100 times. In addition, Power for All’s review of current and popular energy information portals finds that DRE is under-represented, even within the energy access space. There is no comprehensive, easy-to-use inventory of the current, critical facts needed to advance decentralised renewable energy and universal energy access that is kept relevant and up-to-date in this quickly evolving sector. However, to achieve universal energy access we need to address this ‘information use gap’ and the Platform for Energy Access Knowledge (PEAK) is a direct response to this gap. The Platform for Energy Access Knowledge (PEAK) will go live on July 17, 2018. With 1.1 billion people lacking access to electricity, action to develop reliable, affordable, and environmentally friendly electricity supply systems is high on the international development agenda. In the era of big data, the opportunities to design and tailor such systems are amplified by the depth and scale of information previously unavailable. Examples of this include latest technologies such as smart-metering, Pay-As-You-Go, and blockchain based billing applied in mini-grids and small-scale systems in peri-urban and remote rural areas in sub-Saharan Africa. Electricity supply with these modern systems creates an enormous amount of data which could be used for the additional benefit of the consumers. In addition, spatial datasets of infrastructure, resources, and socio-economic indicators are becoming increasingly available and can potentially support detailed least-cost geospatial electrification planning. Thus, the big question is how can big data support achieving SDG7? A transdisciplinary group of researchers, public and private sector representatives gathered under the framework of the Berkeley-Berlin Energy Access Group and the Transatlantic Climate Bridge Initiative for a one-day workshop in April this year to derive solutions to this question. Two key areas of research were identified: dynamic electrification planning and weak grids. An analysis of electrification planning tools revealed limited consideration of temporal and spatial dynamics. This includes the challenge of incremental energy access improvement planning and the complexity of modelling economic and electricity demand effects of human migration into electrified areas. Big data is crucial if these relations are to be modelled, validated and projected. 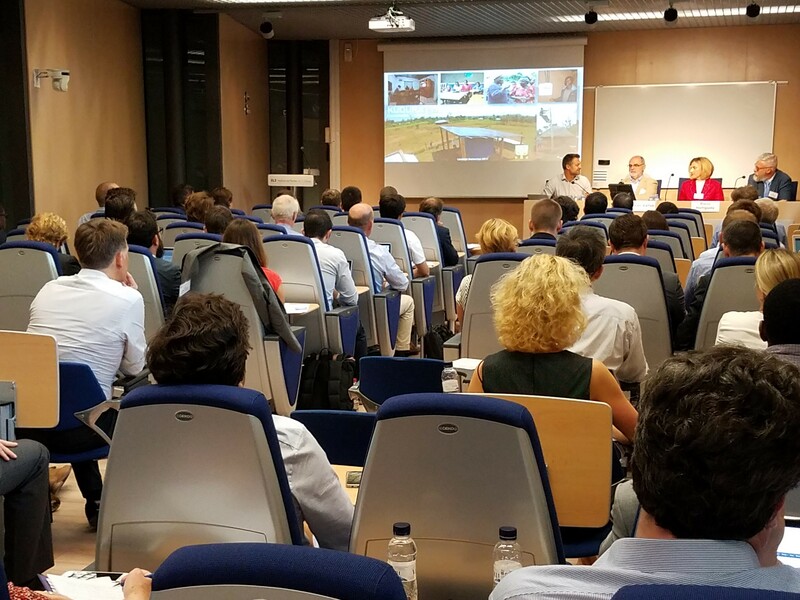 A discussion of market-based solutions for weak-grid regions highlighted the need for evidence driven sizing and operation of grid-connected SHS. This requires detailed data of power outages in high temporal and spatial resolution. Big data could help improve our understanding of the patterns of brownouts in a certain area, while remote monitoring of existing SHS can improve operational algorithms and system design. Researchers have an incredible opportunity to leverage exponentially growing datasets to help develop better, more innovative solutions towards SDG7. If you are interested to bring in your expertise in the aforementioned fields into this research partnership and / or if you know supporting funding programmes, feel free to reach out to us off-grid@rl-institut.de. Providing comprehensive data on distributed renewables for energy access (DREA) systems in developing and emerging countries is challenging. But given the increasing role of DREA systems in meeting energy needs, we need to establish a continuous data collection process to track uptake and better understand how these systems are supporting energy access. Since 2000, most new energy access has come from fossil fuels (45% coal, 19% natural gas and 7% oil) – but this is slowly changing. The International Energy Agency (IEA) estimates that renewables provided 34% of new connections since 2012, of which 6% was through off-grid and mini-grid, and that by 2030 renewables will power over 60% of new energy access, with off-grid and mini-grid systems providing for almost half of that. Declining costs of renewables (particularly solar PV), efficient end-user appliances and innovative business models are contributing. But measuring what is happening and where is challenging. Data on stand-alone, off-grid systems as well as mini-/micro-grids in both urban and rural areas are disperse, often proprietary, tracked in a format that is unusable outside of a specific context, or simply not tracked at all. Between 2010 and 2017, off-grid solar PV devices (e.g., solar lanterns, solar home systems) experienced 60% annual growth rates. The Global Off-Grid Lighting Association (GOGLA) reported some 130 million quality-assured off-grid solar PV systems had been sold cumulatively by end-2017, providing electricity access to about 360 million people worldwide. 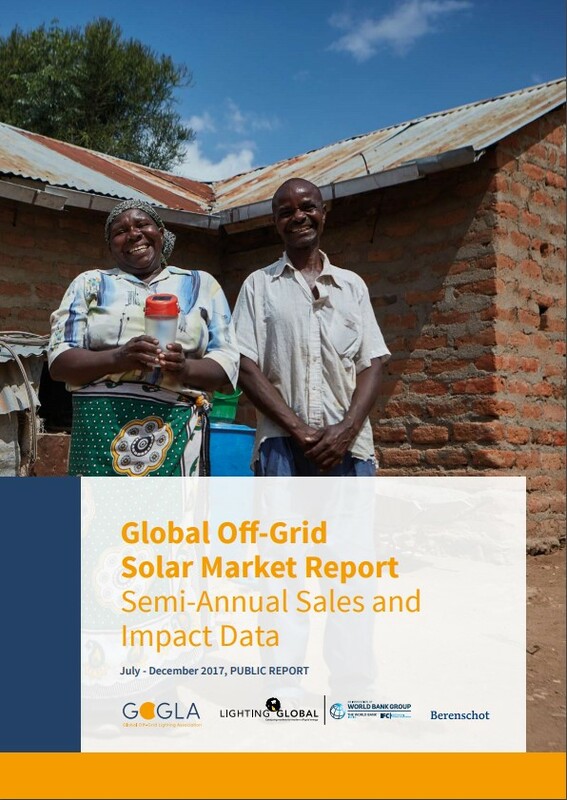 These data, however, represent only 30% of all sales of off-grid solar PV products across a limited number of markets. Bloomberg New Energy Finance Climatescope assessment report provides data on mini-grid markets from 71 countries, but it only covers large mini-grid projects (>100 kW). Thirteen new mini-grids outside OECD and China were reported in 2017; in reality hundreds of smaller mini-grids have been installed in developing countries. Today, the number of annually installed smaller mini-grids is moving from tens to hundreds. Developing and emerging economies also are implementing clean cooking solutions. The Global Alliance for Clean Cookstoves (GACC) reported that the number of clean cook stoves distributed more than tripled in 2016 compared to 2015. However, only an estimated 29% of the 30.8 million clean cook stoves distributed used renewable fuels (wood, charcoal and biogas). REN21 works with these partners and many others, including the Alliance for Rural Electrification (ARE) to produce the DREA chapter in its annual Renewables Global Status Report (GSR) series. We experience first-hand the challenge of presenting an accurate status of the DREA sector. Lots is happening but without data it cannot be documented. Therefore, we encourage you to participate in the next edition of the GSR data collection and peer review processes to ensure that developments in your country and region are accurately illustrated. Reliable and up-to-date data are essential in creating an enabling regulatory and financial environment for DREA systems. Get in touch with us at gsr@ren21.net if you would like to contribute to more comprehensive DREA data to further advance the energy transition in developing and emerging countries. The world of data management is changing rapidly. New opportunities for remote connectivity and system operations are making it possible for companies to run off-grid energy systems more cost-effectively than ever before, with higher uptime, and fewer complications. By integrating several distinct technological components, we have captured this opportunity and created the asset monitoring and management platform, AMMP. As a solution for remote energy asset management, it has been put through its paces over years of on-the-ground operations, processing millions of data points. AMMP allows operators to obtain an integrated view of asset performance across off-grid, mini-grid, and grid-edge energy asset portfolios. The platform supports a range of vendors and technologies, such as solar PV, batteries, diesel generation, and smart metering. AMMP provides operators with real-time insights and alerts, allowing for quick response times and timely maintenance of energy assets, often without the need for costly site visits. With that, it allows significant reductions in O&M costs – by 20% or more. It also makes it possible to gain longer-term value from the data collected, such as for KPI reporting and trend analysis over time. Most importantly, it enables operators to keep their assets running and customers satisfied. 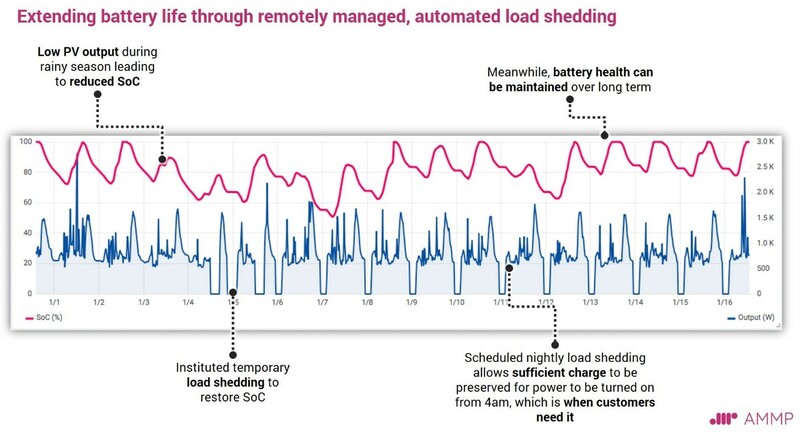 For example, the figure below illustrates the way in which remotely managed, automated load shedding enables the extension of battery life, while continuing to optimally serve customers through challenging operational conditions. With AMMP, we are breaking into the often-slow-moving world of industrial energy systems, with a solution that is truly rooted in the Internet era. So far data management for traditional energy assets has mostly been done by cumbersome and costly SCADA solutions rooted in offline-first models. 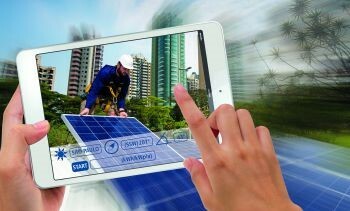 As the world of energy transitions towards a cleaner and smarter future, open and flexible data management solutions will increasingly gain traction. This is particularly relevant as we move towards large-scale Big Data sets gathered in real time by numerous IoT devices. We are applying a modern and open software architecture to solving critical information bottlenecks in off-grid energy. AMMP is underpinned by an “online-first” philosophy to smart energy and industrial IoT. This is based around internet-scale best practices and open communications protocols, connecting devices and data streams in a secure, flexible, and scalable way. Importantly, this flexible architecture allows us to also apply novel machine learning algorithms. These enable the value of Big Data to be truly captured and put to work in applications such as predictive maintenance. The International Energy Agency projects that nearly 300 million people could be served by mini-grids by 2030. The tools for mini-grid development to date – such as multi-sheet Excel workbooks and pen-and-paper customer surveys – will not be sufficient to support such a rapid pace of project development over the next 12 years. Odyssey Energy Solutions (Odyssey), the mini-grid sector’s first end-to-end data platform, offers a solution. 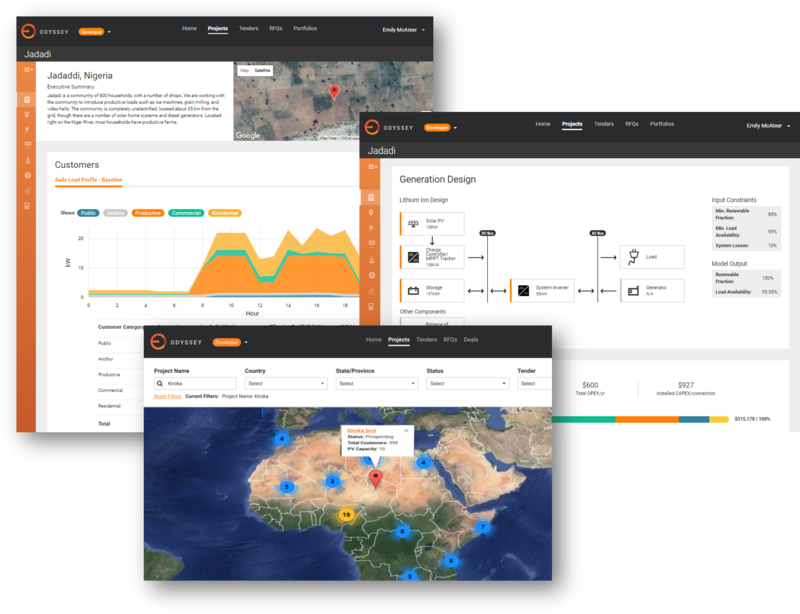 Odyssey enables project development and financing at scale via advanced data management, powerful analytics, and state-of-the-art software for mini-grid planning. Advanced data management. As project developers, financiers, and governments manage growing pipelines and portfolios, there is an increasing need for robust tools to manage large amounts of diverse project data across hundreds of projects. This includes records of site locations, customer surveys, hourly load forecasts, customised tariff structures, capital and operating costs, equipment specifications, and more. The Odyssey platform is a centralised secure software database with tools for managing, querying and processing high volumes of data. “Feedback loop” analysis. One of the biggest challenges facing the mini-grid sector is the lack of a robust data set from operating projects. Historically, inaccurate load and revenue forecasts have led to system oversizing, making project unit economics challenging and bankability elusive. Odyssey enables a full feedback loop, allowing systematic comparison of pre-build demand forecasts from site surveys to actual smart meter consumption; if tariffs are adjusted at a village level once a project is operational, rigorous demand elasticity analyses can be undertaken. Odyssey’s full spectrum visibility allows predictive algorithms to improve over time and thus increases confidence in financial projections. Effective communication. Communicating mini-grid project data is no small feat. Every individual mini-grid project comes with a unique set of assumptions and a complex risk profile. Attracting the magnitude and diversity of capital essential for the sector to scale will require aggregation of hundreds of projects into portfolios that are easily diligenced. Odyssey facilitates the creation of project portfolios that allow easy and efficient screening by investors and governments, while retaining the specific data profile of each mini-grid for deeper diligence. Odyssey also automatically generates a standard set of key performance indicators for each project – and provides explicit permissioning for sharing project data across stakeholders. Intelligent data sharing enables streamlined deployment of funding for financing programs (such as government tenders or results-based financing facilities) and systematic tracking of investment results and impact. To date, the potential for mini-grids to close the energy access gap has remained unrealised. 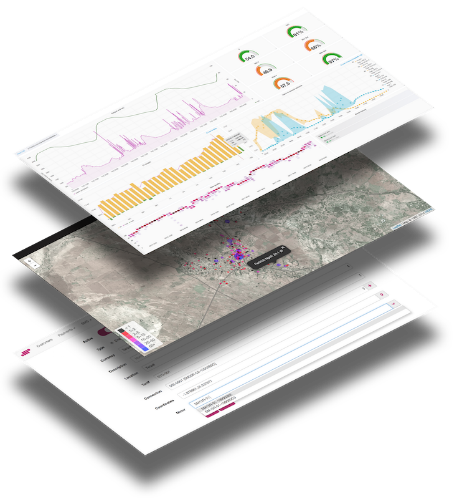 Odyssey was built to change this reality for the entire mini-grid ecosystem by providing the tools the sector needs for advanced data management, end-to-end analytics, and effective data sharing across all stakeholders. The power sector has the biggest potential for replacing fossil fuels and cutting emissions thanks to renewable sources of energy. This will require strong investments to transition from the currently centralised electricity to a decentralised model and provide large scale solutions for the management and control of the millions of future off-grid systems that will be required. 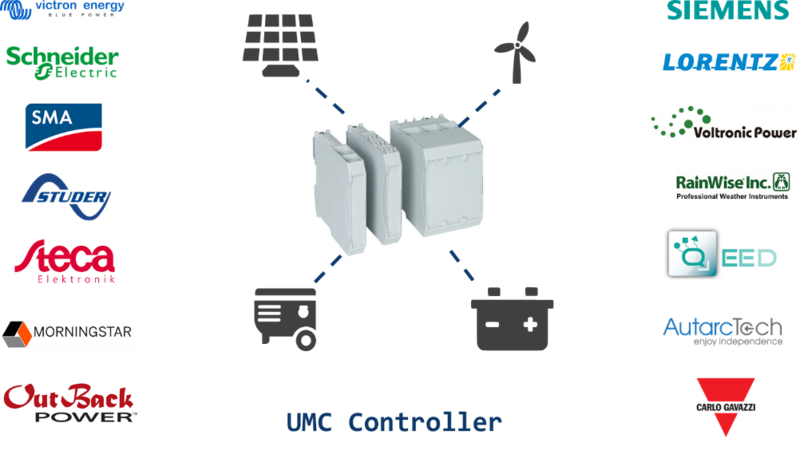 Moreover, off-grid systems today are not ready for this step: due to their high versatility, which typically consist of dozens of different components from different manufacturers, there is currently no way of remotely controlling and connecting these components, i.e. there is a lack of general system management solutions. The data related to generation, storage and use of energy will be extremely valuable for the big data growing market. This information can be then analysed and be very useful for energy companies, researchers, manufacturers, developers and other possible interested parties. 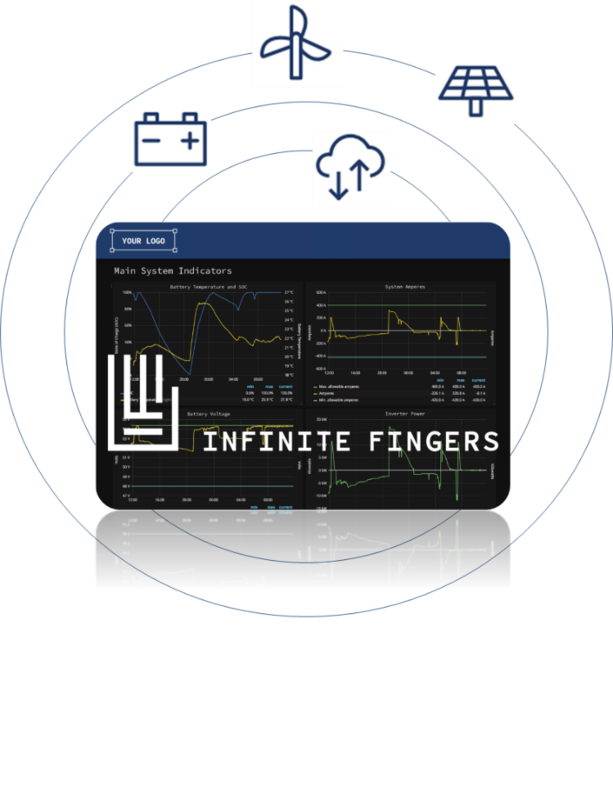 Up to now, Infinite Fingers have deployed on the field more than 80 monitoring solutions worldwide, and at the end of 2018, we will release our next Front-end version. One major product of the world’s increasing reliance on technology in improving infrastructure management and resource allocation systems is the massive volume of diversified data produced by the activity of millions of users. Big data also serves as an incredible resource that can be leveraged to further optimise energy systems of various scales in a variety of different settings. Representing one of the major socio-economic goals of the energy industry, rural electrification in particular is an undertaking that stands to benefit immensely from data analytics. Data analytics reveals critical information about the energy production and consumption patterns of individual communities in rural and other non-grid connected areas, which are located in a diversity of often difficult terrains. In this way, big data can be utilised to develop more efficient energy distribution schemes and create effective software-based solutions that are customised to the specialized needs of each community. Energy solutions that are built upon in-depth data analysis are essential in improving reliable electricity access for rural and off-grid communities. Traditional methods of increasing energy access through infrastructural expansion (including extending the main grid) are often prohibitively expensive and time-consuming. However, data-driven energy solutions are adaptable to existing infrastructures and physical terrains, and they can also be implemented using sustainable energy sources and easily scaled to accommodate any changes in community energy needs. Technology is undeniably revolutionising the fundamental basis of many deeply established industries, and the energy industry is no exception. Emerging information technologies, big data, and data analytics are dismantling monopolies and outdated, inefficient centralised electricity systems. In their place, data-driven solutions are bringing forth a new generation of future-oriented energy solutions that focus on efficacy, flexibility, accessibility, and sustainability. How do you provide a service when neither the provider nor the customer has a good sense of the demand? 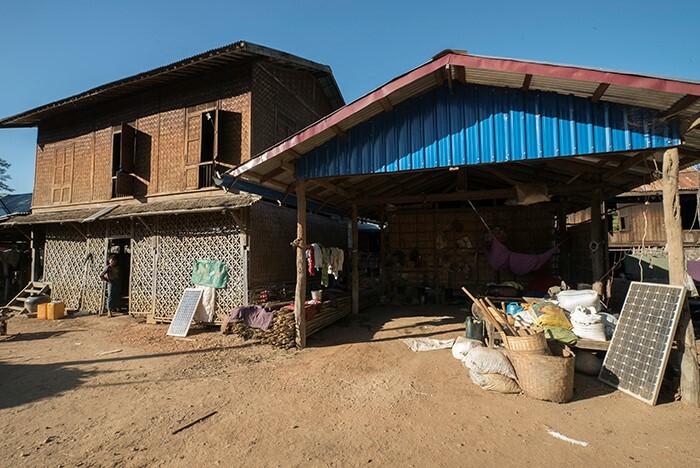 This is one of many challenges facing the off-grid energy industry in Myanmar, a country where less than 40% of the population currently has access to modern energy services. Other challenges that are not unique to Myanmar include high upfront connection costs, which distorts demand; prohibitive costs of home appliances and commercial and industrial equipment, which prevents individuals and small businesses to make the most of their energy access and raise revenues for mini-grid operators; and a lack of access to financial services. 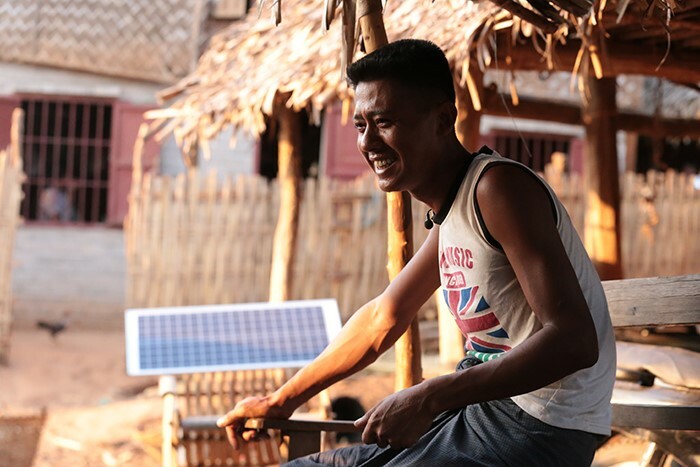 Pact has worked on rural electrification in Myanmar since 2015, when, with corporate partners, the organisation established the Ahlin Yaung energy programme, with funding from Shell, Chevron and ABB, incorporating a capital fund for energy financing. Through Ahlin Yaung, Pact helped establish Village Development Committees and associated Village Development Funds, and then provided capital to local communities, who in turn make smaller loans to households. The Village Development Fund retains the interest to put toward other community development goals and returns the principal to Pact so it can loan these funds out to other villages. This system helps strengthen community ownership, provides much-needed capital for village-managed financing, and provides revolving capital for Pact to expand energy financing beyond the end of grant periods. 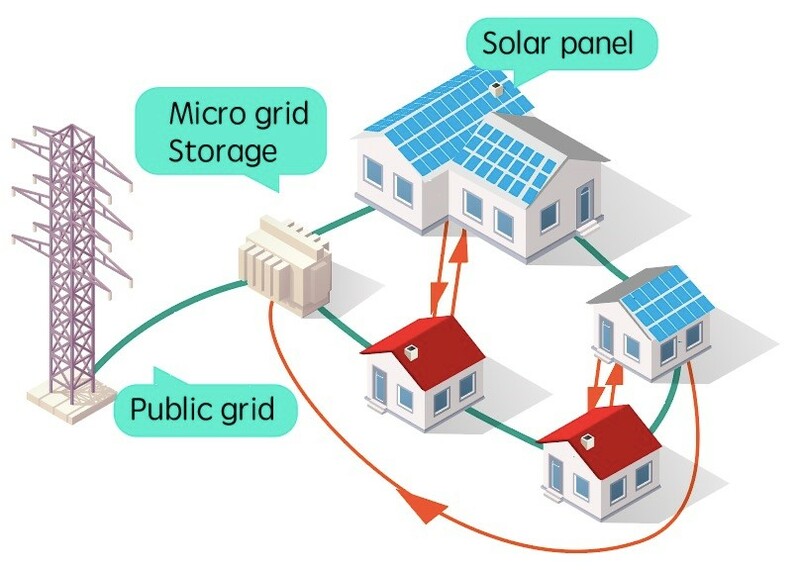 Recently, Pact has also begun increasing usage of existing mini-grids by financing connections and energy-efficient appliances, as well as supporting the development of small businesses by financing equipment for them to start the business and providing business planning assistance. Through the Smart Power Myanmar platform, which Pact launched in May with financial support from the Rockefeller Foundation, Pact is now exploring how to rapidly scale up financing and technical assistance to ensure that everyone who wants to connect to a mini-grid and can afford to pay for electricity has the opportunity to do so, and to provide assistance to the many entrepreneurial people of Myanmar who want to start new businesses that will use electricity but who need loans and advice to get started. We believe this will significantly increase the viability of mini-grid economics, while increasing opportunities for the Myanmar people to improve their livelihoods. Médecins Sans Frontières (MSF) is an international, independent, medical humanitarian organisation which delivers emergency aid to people affected by armed conflict, epidemics, natural disasters or exclusion from healthcare. We currently operate programmes in 71 countries worldwide. Energy in our projects is typically provided by diesel generators – since this is a fast, effective and proven solution in emergency contexts. 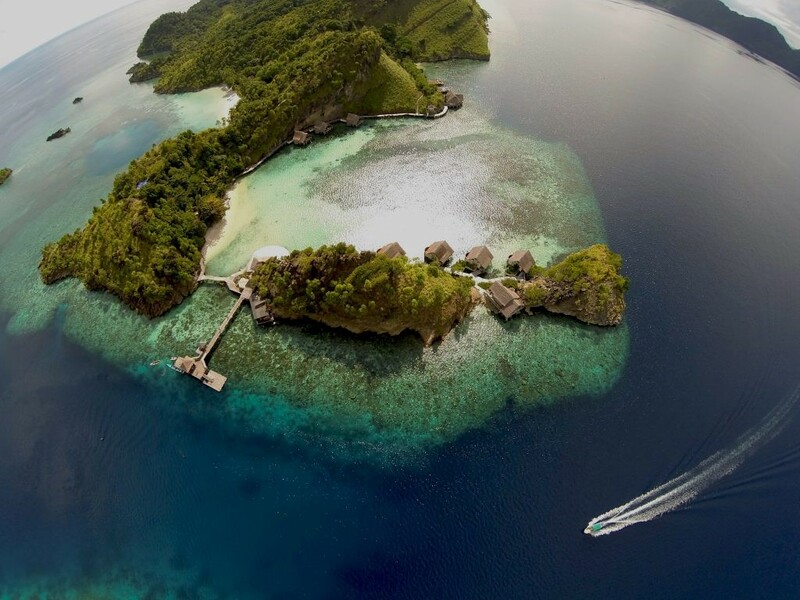 However, most of our projects are run in locations close to the equator with a high potential for solar power. The projects often also have an extended duration and could benefit operationally as well as economically from solar power solutions (not to mention the possible environmental and local health benefits). Additionally, when the context is stable enough for MSF to leave, a solar power solution could increase the chance for local actors to maintain high quality healthcare in the premises we leave behind. Thus, an increased use of solar power would increase the sustainability and effectiveness of our efforts – in economical, operational, social and environmental terms. Solar direct drive fridges (without batteries) provide an excellent, although still expensive, example of application that have been introduced by MSF and our colleagues in many of our contexts for vaccine cold chains. These can be placed in almost any setting and will autonomously provide a controlled cold storage virtually without maintenance or running cost. We are looking at a similar solution for medical oxygen supply, where the night-time storage would be concentrated oxygen as compressed gas. Unfortunately, however, there is not yet a wider industry engagement in this area. Our current focus is to find suitable solar air conditioning solutions, since these often consume 30-50 percent of a project facilities’ energy supply. We need air conditioning in our projects for operating theatres, pharmacies and some hospital wards – but also for offices and housing. For day-time air conditioning, direct drive solar power would be ideal since the need almost perfectly matches the power supply. For night-time needs, it becomes a bit more complicated, and some storage solution would be needed – again, preferably, not through batteries. Although this is a developing application for solar power, so far there seems to be few commercially available products for off-grid (or unreliable grid-tied) applications. We are therefore most interested in getting in touch with companies and organisations that can help us with this in order to provide even better patient care. Founded in 1926, ABC CONTRACTING is a major player in providing turnkey EPC (Engineering, Procurement & Construction) services for the energy industry in Africa. Our design and project management expertise, stemming from our highly skilled engineers and experts in all technical fields, allows ABC CONTRACTING to build a turnkey project from start to finish, such as off-grid hybrid power plants. Power generation requires a fuel energy source. The efficiency of processing fuel into electricity with minimal environmental impact will determine the most attractive solution. Your costs savings and the protection of our planet are our priority! ANGLO BELGIAN CORPORATION (ABC) medium speed engines are renowned for their reliability, low fuel consumption and easy maintenance. They are built by our Group and they continually run below 1000 rpm. These features are more than just technical advantages as they also result in financial savings thanks to less fuel consumption, fewer spare parts and less repairs compared to high speed engines. Fuel flexibility and respect for the environment are keywords associated with ABC CONTRACTING. In order to adapt to the environment while respecting it, ABC CONTRACTING provides a renewable component, by systematically offering a hybrid solution which adds solar and/or wind power to thermal power plants. All this by bringing the necessary skill to guarantee quality energy and network stability. 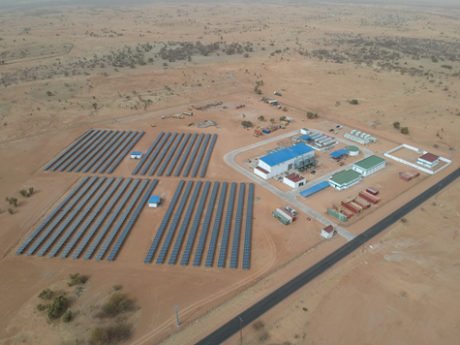 I n 2018, ABC CONTRACTING, together with his French partner Vergnet, finalised the Engineering, Procurement, Construction (EPC) and the assembling of the Hybrid Power Plant of Kiffa, in the middle of the Mauritanian desert. The project has been financed by the AFD. - Thermal: 5MW with ABC engines, running with HFO. We will be happy to help you to evaluate the best power solution based on your OPEX and project life cycle cost. The SEforALL Forum brought together over 800 participants collectively working towards a sustainable energy future [photos] [event summary]. ARE was strongly represented, with Members of the ARE Board and Secretariat having formal speaking roles giving recommendations on: local and sectoral jobs, the data needs of the sector, measuring community benefits and energy access in Somalia. ARE also represented the sector at a meeting of the global Mini-grids Partnership, where ARE acts as joint Secretariat along with UN Foundation. This meeting saw participation from over a dozen funders who collectively plan to invest nearly USD 2 billion in distributed energy in 2018 (the World Bank alone is planning to invest USD 1.3 billion this year through programmes in Kenya, Nigeria, South Asia and West Africa more broadly). We are excited to work with new chair Daniel Schroth from AfDB to bring the Mini-grids Partnership to real life again. The Asia Clean Energy Forum 2018 brought together 1,000 clean energy professionals to debate, discuss and plan for a transition from fossil-based to low-carbon energy sources where speakers brought forward the vision and the challenges ahead of us. All countries in Asia and Pacific were well represented in the opening session on 6 June 2018. ARE was represented by ARE Vice-President Katarina Hasbani (Deep Dive Workshops for Battery Storage Technology for Clean Energy and Women Entrepreneurship in Clean Energy) and ARE Board Member Sukla Chandra (Energy Access to Urban Poor). This year, ACEF was organised by the ADB, USAID, Korea Energy Agency and ADB Institute. The plenary focused on the advancement of renewable presence in the energy mix which is predicted to be as high as 40% by 2040 in the Asia Pacific. Technology in the era of decentralised energy generation will have a role to play in this rapid expansion - leveraging new developments in areas like AI, Cloud, IoT and Bitcoin. The challenges in business model and funding remains a focus area for years to come. ARE contributed and will continue to share knowledge on successful business model development to help drive decentralised energy access. The challenges of successful business models were discussed in the session on "Energy Access to Urban Poor" with examples from ARE Members working in off-grid projects in India (e.g. Mlinda in collaboration with OFID and facilitated by ARE) and Sunna Design working on street light projects in Durumi which is a suburb district of Abuja, the capital city of Nigeria. 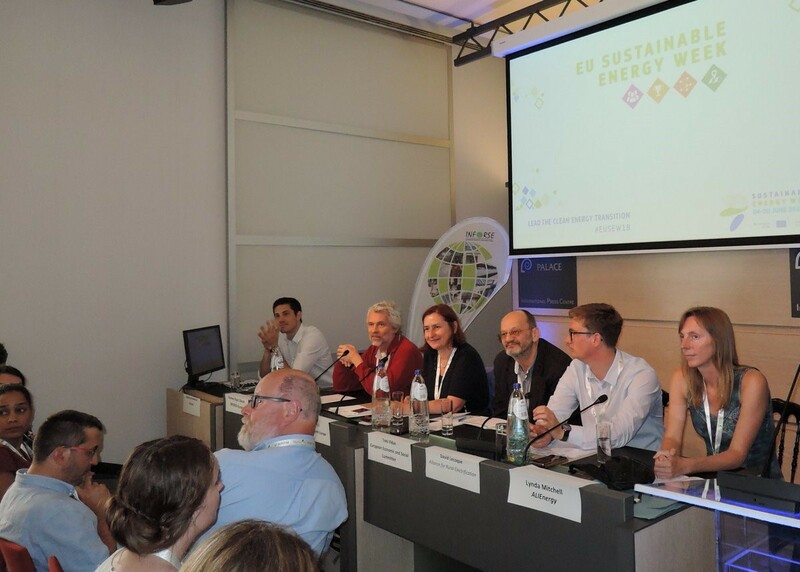 ARE was represented at EUSEW to promote sustainable energy across Europe and beyond. The session on "Sustainable energy and digital solutions for financial inclusion and job creation in a development context" proved that all the necessary pieces of the puzzle - including crowdfunding - are already there to make full use of the existing synergies between the energy, digital and (development) finance sectors. Based on presentations by innovative companies as ENGIE, who via its subsidiary PowerCorner Tanzania and Rassembleurs d'Energie recently joined ARE as a Member, and ARE Executive Director Marcus Wiemann, who presented case studies on the evolution of the off-grid industry towards digital services, it becomes clear that the right ingredients are already there but market conditions need to improve. With more than 65 participants, the session on "Solidarity and energy communities, how community energy alleviates energy poverty both rural and urban" connected a multitude of stakeholders to discuss the role of energy communities in tackling energy remoteness and poverty with locally generated renewable energy. As consortium partner, ARE Policy & Business Development Manager David Lecoque presented the Low Carbon Off-grid Communities (LOGiC) project. [presentations]. In Zambia, 31% of the population has access to electricity. 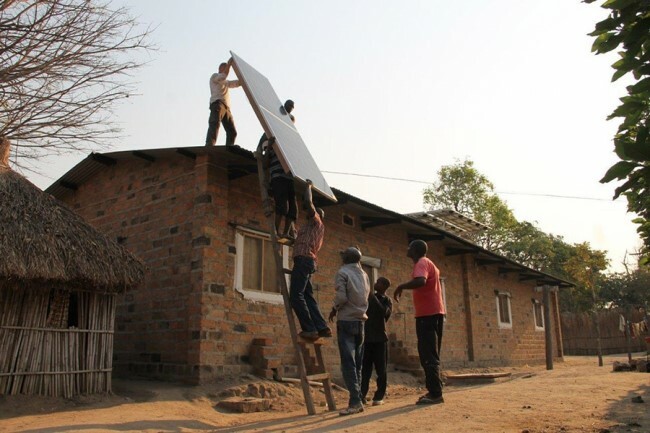 Clean off-grid energy solutions can strongly boost the efforts already undertaken by the Government of Zambia to reach its target of 51% rural electricity access by 2030. With this in mind, the Zambia Off-grid Investor Forum organised by the Alliance for Rural Electrification (ARE) and the Global Off-Grid Lighting Association (GOGLA), with the support of the Zambia's Rural Electrification Authority, the Africa–EU Renewable Energy Cooperation Programme (RECP) and the European Union funded Increased Access to Electricity & Renewable Energy Production (IAEREP) project, convened 240 participants, including 16 ARE Members, from 40 countries to do business and build partnerships around off-grid energy solutions in Zambia. 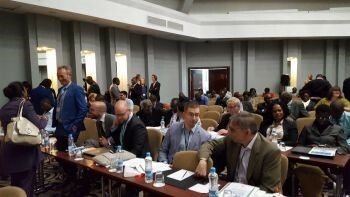 The Forum featured presentations by international experts on the latest developments and opportunities in the Zambia off-grid renewables market as well as introductions to various upcoming international support programmes. Participants were additionally informed about financial support instruments to help projects reach financial close, with a specific focus on the ElectriFI Country Window Zambia and the IAEREP Grant Facility. Partnering with the German Federal Ministry of Economic Development and Cooperation (BMZ) and the German Solar Association (BSW), this year's Off-Grid Power Forum: Conference & Exhibition was an opportunity for companies and project developers to attract and raise interest from high-ranking delegations, project and business partners, policy makers, investors and international press members. The Forum was again the focal point to learn about the latest trends on future markets, technological solutions and smart applications. Over 200 participants, including 15 ARE Members, took part in the Conference. 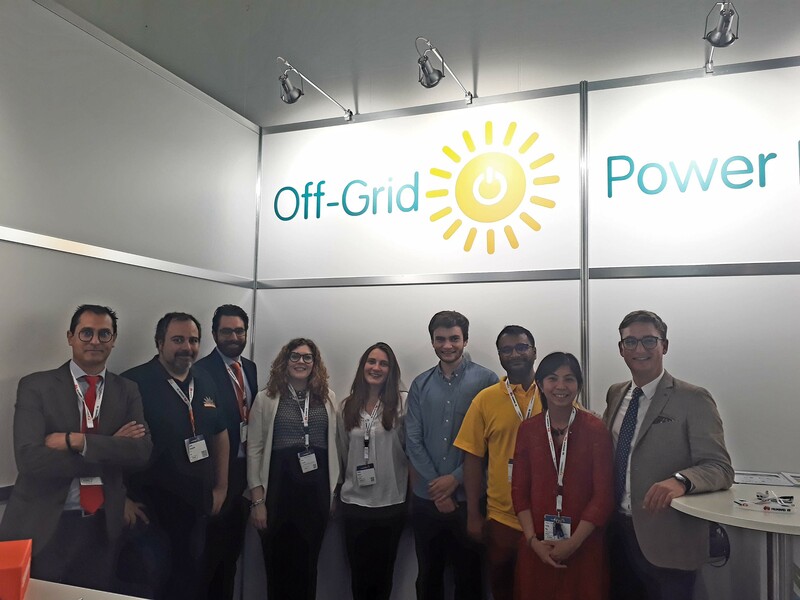 ARE was selected as exclusive partner for the Off-Grid Power Exhibition. ARE shared its booth with the “Low Carbon Off-Grid Communities (LOGiC)” project, where ARE is the communications partner. A big thank you to ARE Members GFM, LEDsafari and Windkinetic and Partner RECP for collaborating with us at the exhibition! With more than 12,500 visitors expected to attend, the 6th Intersolar South America exhibition and conference is the key platform for promoting solar technologies in the region this year. Over 240 international exhibitors will showcase their latest solutions to industry specialists, investors, and project planers over the course of three days. After last year’s success with 70+ participants, the ARE is organising a half-day Off-grid workshop at Intersolar South America on 28 August 2018 focused on empowering communities through clean energy access. Session 3: Role of big data in the off-grid sector and to improve the financing setup for off-grid clean rural electrification in the region. The workshop will be concluded with a Networking session to promote private-sector involvement and cross-fertilisation between local SMEs, financiers and international companies. For more information on the sponsorship and speaking opportunities available, kindly return to us by 29 June 2018. The Microgrid Global Innovation Forum will focus on microgrid advances, case studies and applications in EMEA, Asia-Pacific, and Latin America. Organised by the Smart Grid Observer, the event will examine positive business models for a range of microgrid deployments, as well as real-world case studies in both grid-tied and off-grid/remote environments. ARE is pleased to be an official Association Partner for this event. 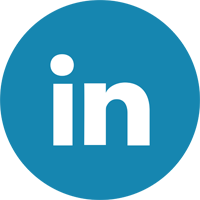 Learn more from microgrid developers from ARE Members: EDP Renováveis, Infinite Fingers, RVE.SOL, Schneider Electric and SparkMeter. The conference will also address microgrid feasibility, design, and implementation; solar + storage advances; project financing and investor perspectives; the latest technology innovations, and more. From 19 to 21 September 2018, the Philippines Mini-grid B2B Forum will identify opportunities for investment in renewable energy mini-grids in the Philippines. Key players in the Philippine energy sector, such as electric cooperatives and public agencies, will link with international mini-grid experts and potential financiers on innovative technical solutions. The Forum is organised by the Philippine Department of Energy and the Alliance for Rural Electrification with the support of the European Union through its Access to Sustainable Energy Programme, in line with the objectives of the ‘UN Sustainable Energy for All’ initiative. The Forum will bring together more than 100 local and international players in the off-grid electrification sector, including local electric cooperatives and public sector agencies such as the National Electrification Administration, National Power Corporation and the Energy Regulatory Commission, as well as technology providers, project developers and investors. Participants from local governments, foundations, research institutions and grassroot organisations are also invited to attend. 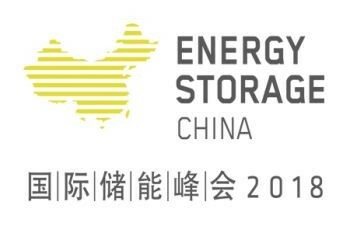 Together with Energy Storage China (ESC), ARE will co-organise a top level Microgrid Global Innovation Forum during ESC. ESC focuses on technologies and applications for the energy storage industry, while ARE covers the entire renewable off-grid solutions value chain. The Microgrid Global Innovation Forum aims to move the market forward, bringing together thought leaders, energy industry executives and project managers from around the world for intensive networking and information sharing concerning the design, implementation and operation of global microgrid systems. The emphasis is on maximising the effective use of renewable and distributed energy resources, refining the business model for a range of microgrid applications, and sharing real-world microgrid case studies in both on-grid and remote environments. The forum is expected to draw more than 200 professional participants, including industry experts, policymakers, government officials and developers. The International Off-Grid Renewable Energy Conference (IOREC) is the global platform dedicated to sharing experience, sharing best practices, identifying synergies and forging partnerships in off-grid renewable energy. Convened every two years, the first IOREC was held in Accra, Ghana in 2012, followed by Manila, Philippines in 2014 and Nairobi, Kenya in 2016. The 4th edition of IOREC will be held during the Singapore International Energy Week (SIEW) 2018 and is organised by IRENA and ARE. With over half a billion people in Asia still without access to electricity, the synergy with the ASEAN Ministers on Energy Meeting, chaired by Singapore in 2018, and with the Asia Clean Energy Summit, will greatly help highlight the role decentralised renewable energy solutions can play in electrification strategies in the region and beyond, as well as the role of off-grid renewable energy in achieving several of the Sustainable Development Goals. Building on the success of the earlier editions, the 4th IOREC is expected to once again attract experts from around the world and across the off-grid renewable energy value chain, with representatives from policy-makers, rural electrification agencies, private sector, NGOs, academia, financing institutions and international organisations. Over the two-day event, the participants will deliberate on enabling policies, financing schemes, innovative business models and technology applications. Attention will be paid to the nexus between energy access and other key priorities such as food, water and health service. Furthermore, innovators, practitioners and entrepreneurs from the off-grid renewable energy space will have the opportunity to showcase their products and services in the exhibition, organised by the Alliance for Rural Electrification, which will run in parallel to the conference. Interested in exhibiting? 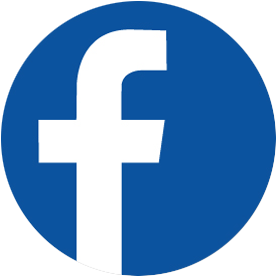 Let us know how you would like to engage by filling out our 3 min survey. 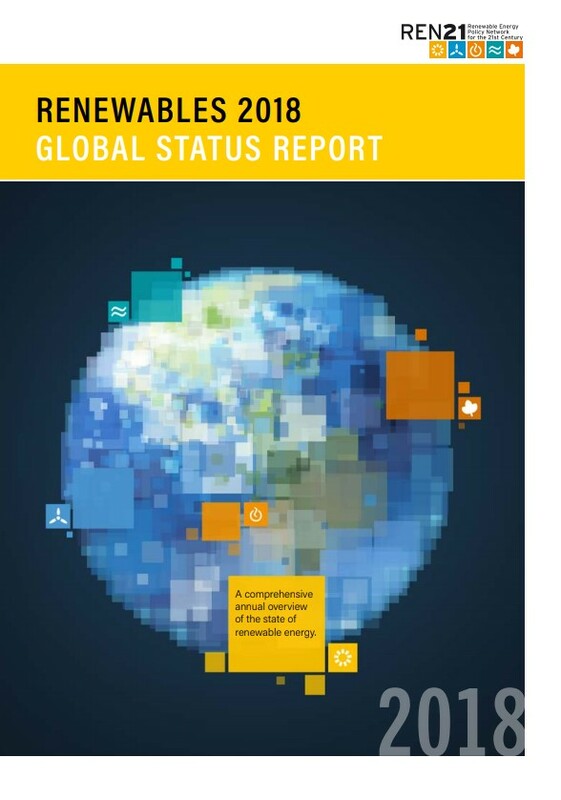 This year’s Renewables 2018 Global Status Report GSR reveals two realities: one in which a revolution in the power sector is driving rapid change towards a renewable energy future, and another in which the overall transition is not advancing with the speed needed. A closer look at Chapter 4: Distributed Renewables for Energy Access, where ARE was a lead topical contributor amongst other partners, acknowledges a slow but positive global outlook for energy access in developing countries. Distributed renewables for energy access (DREA) systems are renewable-based systems (stand-alone and off-grid systems as well as mini-grids) that generate and distribute energy independently of a centralised electricity grid. DREA systems provide a wide range of services – including lighting, operation of appliances, cooking, heating and cooling – in both urban and rural areas of the developing world. 6% of new electricity connections worldwide between 2012 and 2016 were provided by off-grid and mini-grid renewable energy systems. In some countries, DREA technologies play a key role in fulfilling the energy needs and enabling the livelihoods of millions of people living in rural and remote parts of the world. In 2017, off-grid distributed renewable systems attracted strong interest from governments and international organisations that are striving to improve energy access. The PAYG model for small solar systems, enabled by the emergence of mobile technology, has become one of the dominant business models. This, combined with the reduction in solar PV costs, has enabled the rapid spread of DREA into new markets, particularly in sub-Saharan Africa. DREA systems are emerging as the least expensive and fastest option for providing energy access to many remote rural populations. However, reaching energy access goals requires the necessary enabling environment in terms of legal and regulatory frameworks, appropriate financing mechanisms and sufficient overall investment, as well as strong partnerships between public and private actors. 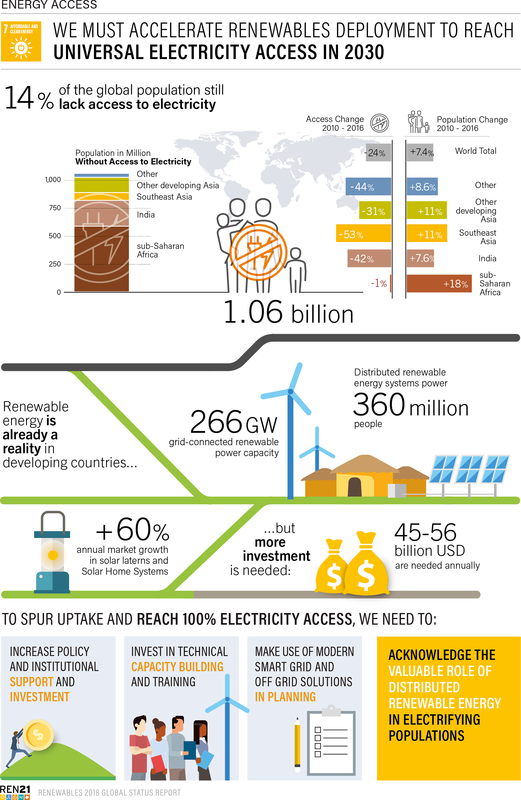 The Energy Progress Report provides a global dashboard on progress towards Sustainable Development Goal 7 (SDG7). The report is a joint effort of the International Energy Agency (IEA), the International Renewable Energy Agency (IRENA), United Nations Statistics Division (UNSD), the World Bank, and the World Health Organization (WHO), which the United Nations (UN) has named as global custodian agencies, responsible for collecting and reporting on country-by-country energy indicators for reporting on SDG7. This report tracks global, regional and country progress on the four targets of SDG7: energy access (electricity, clean fuels and technologies for cooking), renewable energy and energy efficiency, based on statistical indicators endorsed by the UN. The report updates progress with the latest available data up to 2016 for energy access, and 2015 for clean energy, against a baseline year of 2010. A longer historical period back to 1990 is also provided by way of reference. 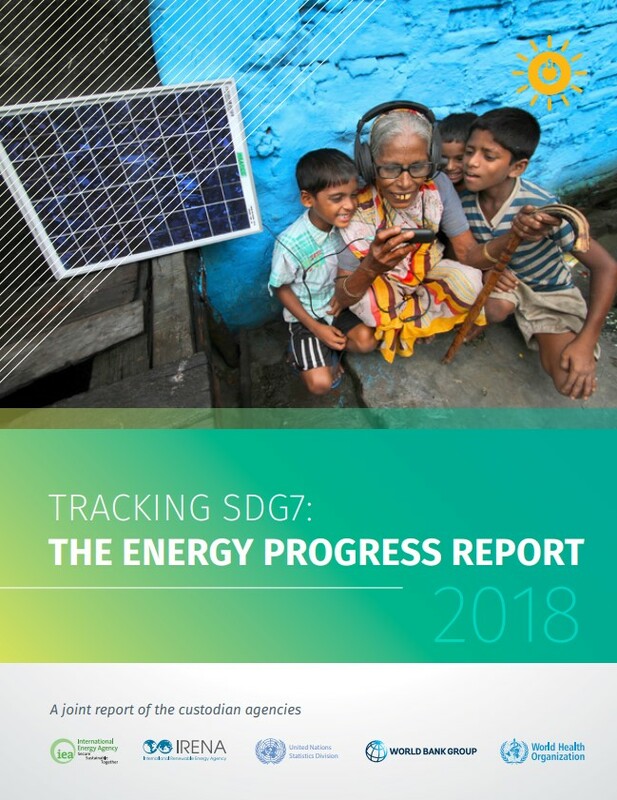 The Energy Progress Report is a successor to the earlier Global Tracking Framework (published in 2013, 2015 and 2017), which was co-led by the IEA and World Bank under the auspices of the UN’s Sustainable Energy for All (SEforAll) initiative and builds on the same methodological foundation. The sales data collected for the present report seems to confirm that the market is back on a solid growth path after the temporary dip in sales reported in the first half of 2017, especially in the Pico-PV segment, mainly due to localized shocks in several key markets such as the demonetisation in India and the drought across East Africa. Lighting Global and GOGLA will continue to push for high-quality, nuanced data to accurately tell the story of the industry’s evolution. The present report features an aggregate of sales data shared with us by the companies that drive the sector, covering an estimated 30% of the total market of Pico-PV products and Solar Home System (SHS) kits. All companies that have contributed their sales data receive their own individual, tailored report, indicating their share of all relevant markets, and have access to a comprehensive online reporting platform that visualises key market insights. 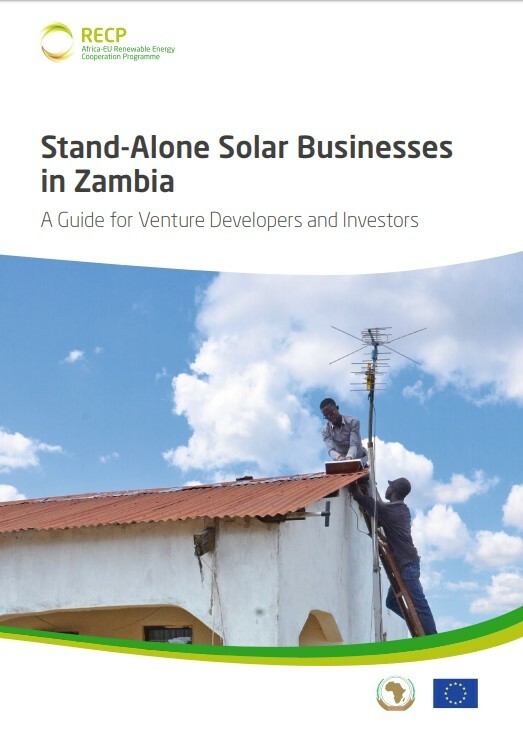 The Zambia Stand-Alone Solar Businesses Guide describes the country and market context, the investment opportunities while reviewing the regulatory and operational steps required for developers and investors to enter the Zambian market. The Guide includes case studies and model business cases to help readers grasp the investment attractiveness in each market segment. Its content was collected through a series of interviews in Zambia between January and April 2017 in addition to a careful review of recent publications and documents. Readers should bear in mind that the Guide does not intend to replace primary market analysis. Instead, it provides a road map for desk-based research, agendas of initial market prospecting visits, and preparations for early stage investment phases.